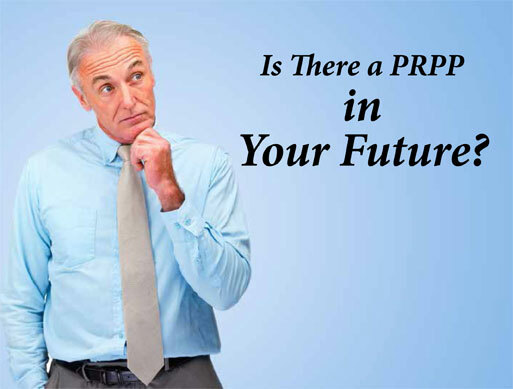 Is There a PRPP in Your Future? There’s good news on the horizon for small- and medium-sized employers who want to offer retirement savings plans to their employees. In June 2012, federal legislation governing Pooled Registered Pension Plans (PRPPs) received royal assent. This means that a new kind of defined contribution pension plan will be available to employers, employees and the self-employed across Canada once federal tax legislation is passed and the provinces pass their enabling legislation. The legislation will allow regulated financial institutions – banks, insurance companies and investment companies – to begin offering PRPPs to small businesses and self-employed individuals who would otherwise not have a pension like those available at larger companies. PRPPs will enable smaller businesses to offer their employees registered pension plans that will be simple to administer, says Dan Kelly, president of the Canadian Federation of Independent Business (CFIB), which represents 109,000 small- and medium-sized enterprises (SMEs) across the country. Only 15 per cent of Canada’s small employers currently offer some form of retirement savings to their employees, Kelly notes. New CFIB member data recently revealed that one-third of small firms would consider offering a PRPP in their workplace, while another one-third would like to receive more information about them. Current pension plans are beyond the reach of most entrepreneurs and Group RRSPs quickly become unaffordable because employers must also pay Employment Insurance, Canada Pension Plan (CPP)/Quebec Pension Plan (QPP) and Workers’ Compensation premiums on top of any contributions to the plan. RRSP management fees are often very high (in the range of 2-2.5 per cent) compared to other forms of retirement savings, Kelly says. For smaller businesses, one of the principal attractions of the PRPP is that it is fully voluntary, says Kelly. Employers may choose whether to offer it and, if so, whether they wish to contribute to it. Employees would be automatically enrolled but could opt out. The employer’s role would be limited to deducting the employee’s contribution from his/her pay cheque and remitting it to the financial institution. All other responsibilities, including how the funds are invested and the associated costs, would rest with the financial institution and the individuals who participate. The financial institution would act as both trustee and plan administrator. CFIB is also calling on the provinces to move quickly to implement the necessary legislation and to ensure that PRPPs remain entirely voluntary. Quebec proposed legislation to implement PRPPs earlier this year but it died when the provincial election was announced. Kelly says CFIB is hoping that a western province – Saskatchewan, Alberta or B.C. – will take the initiative in passing enabling legislation. “We need a larger province to move this forward because financial services companies are unlikely to develop PRPPs for smaller provinces alone,” he explains.